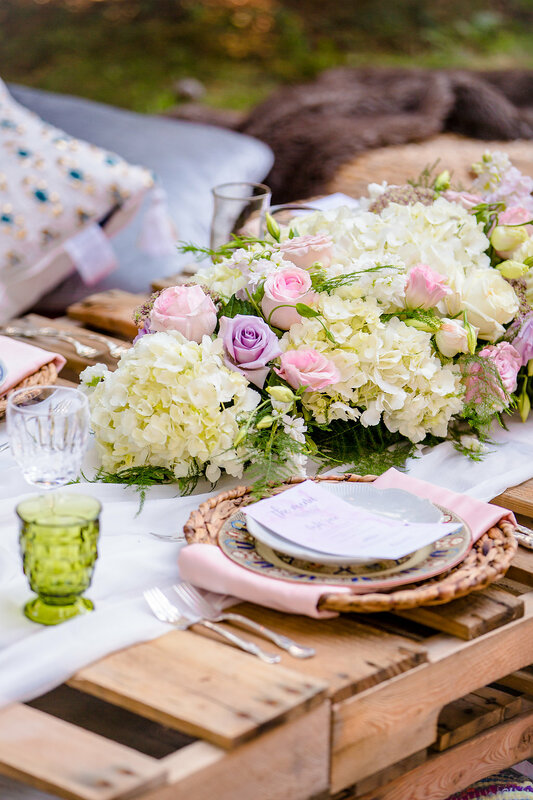 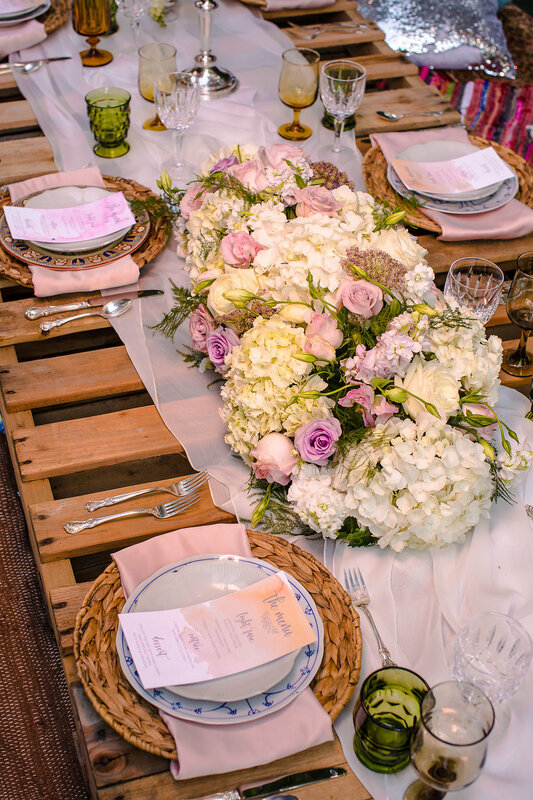 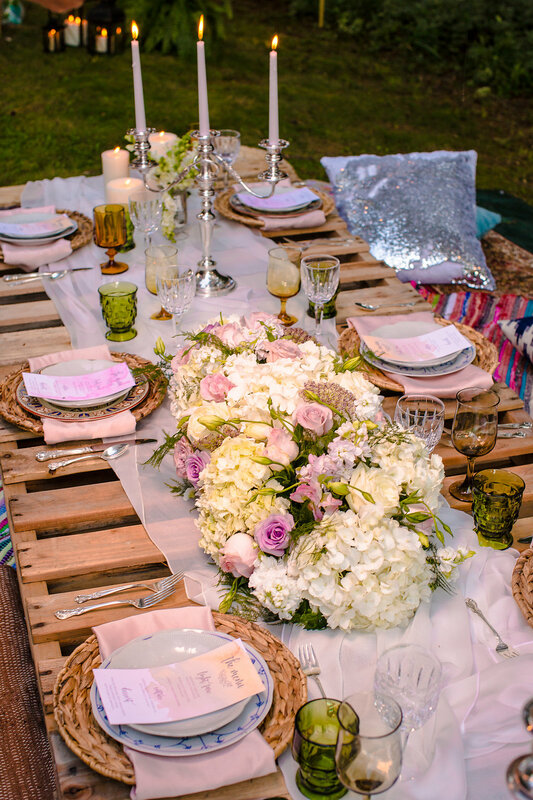 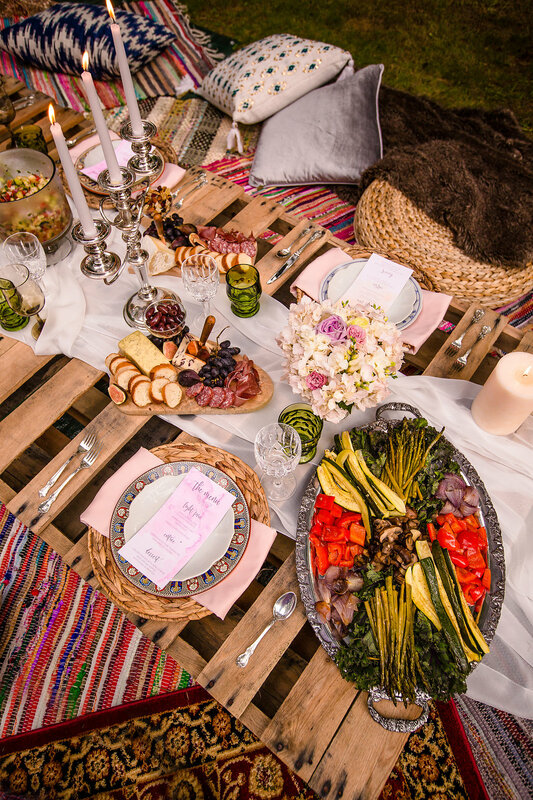 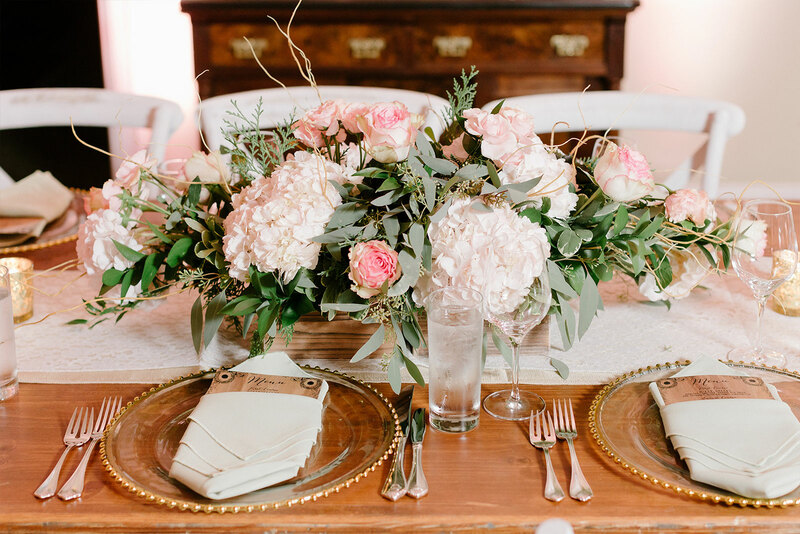 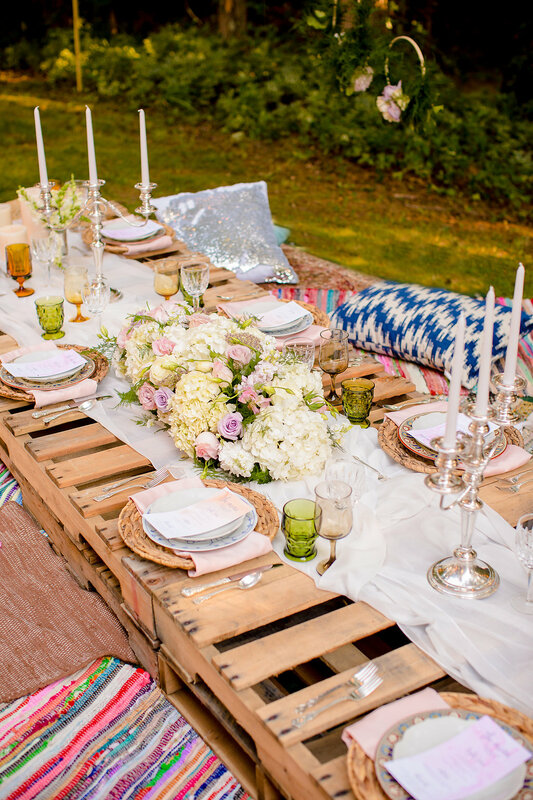 Some of our sheer rental linens run down the center of the table along with pillows and floor lanterns that were used to enhance the boho low style pallet table. 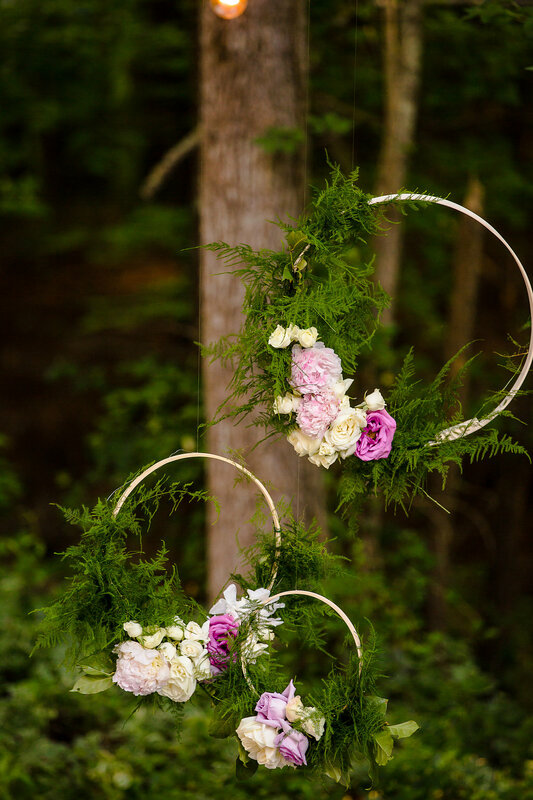 Hanging florals were created out of the flowers and wood embroidery hoops. 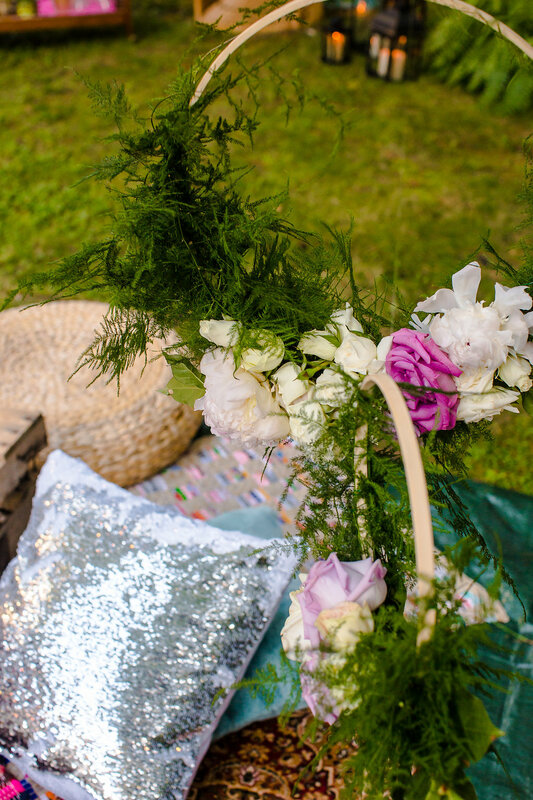 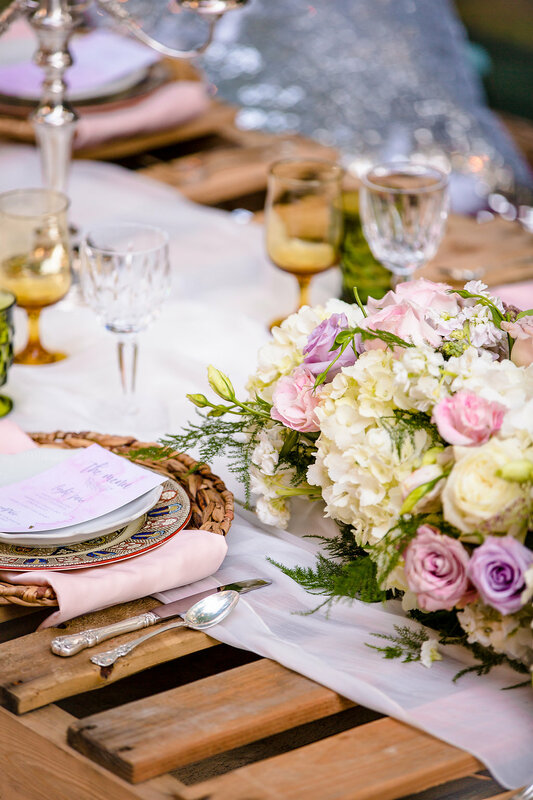 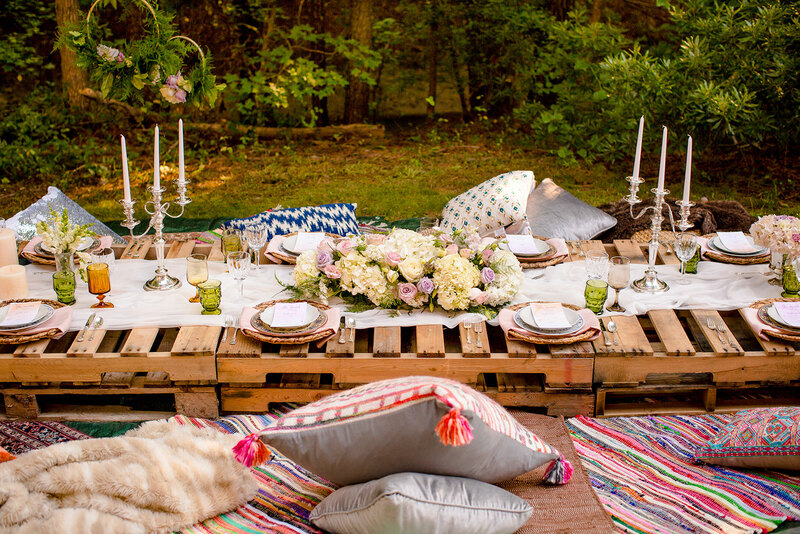 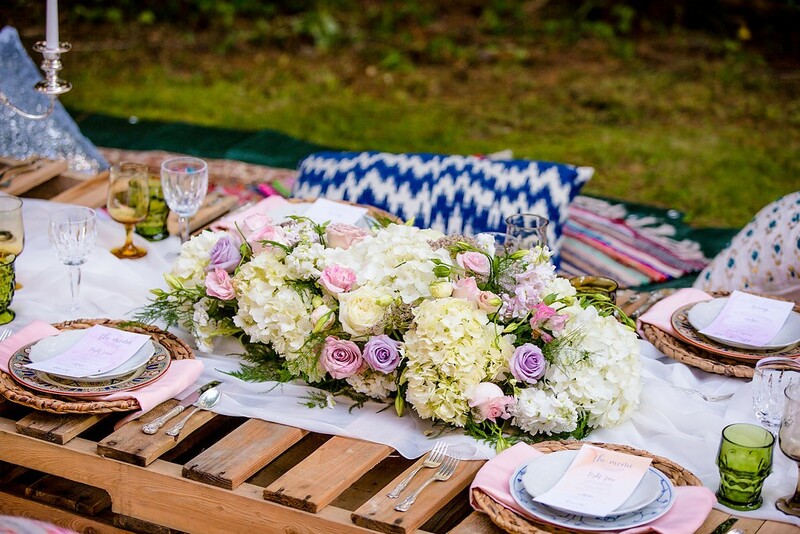 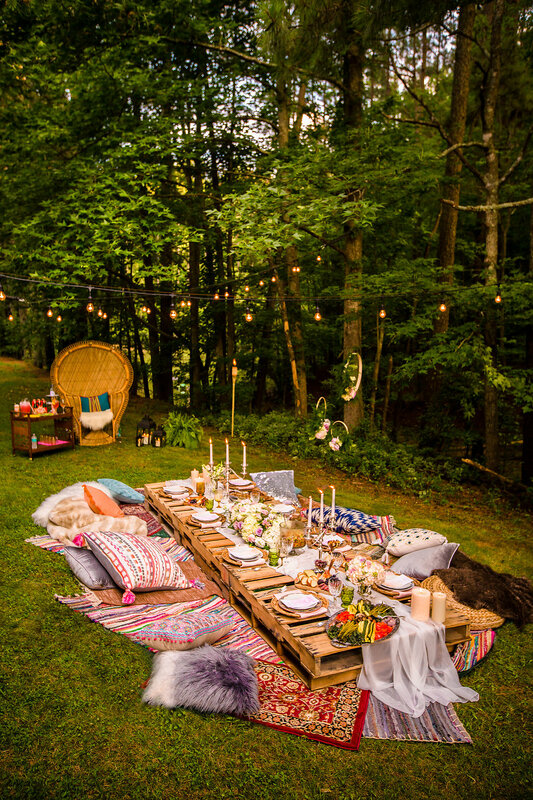 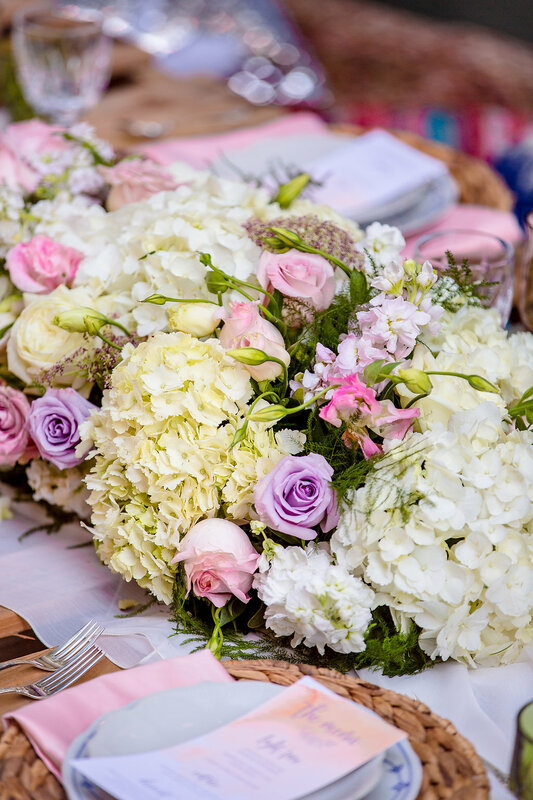 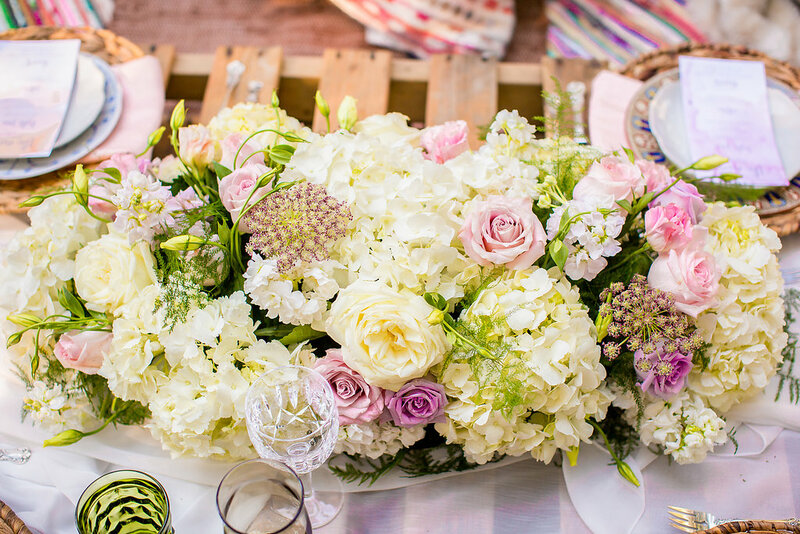 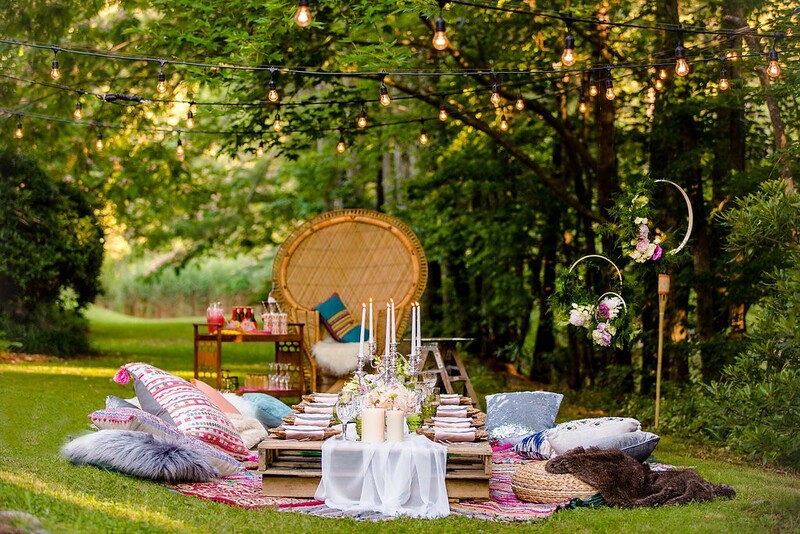 Every part of this shoot screams enchantment and makes you long for warm summer evenings with good food and friends. 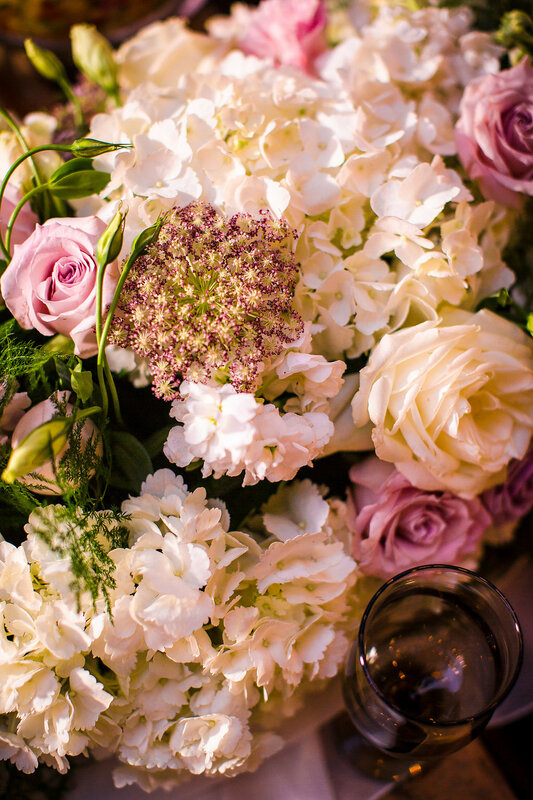 We hope you enjoy the photos and inspiration.